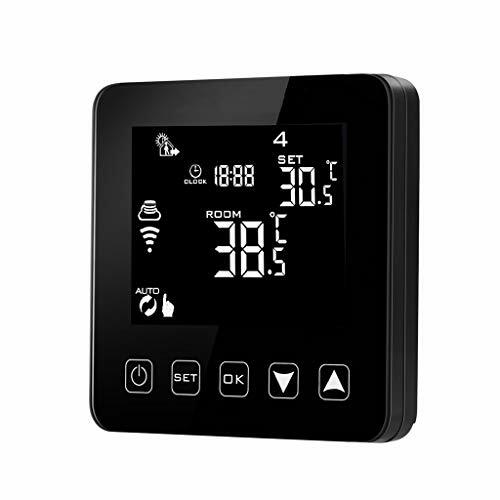 RTH9580WF Features: -Wi-Fi enabled, control from anywhere. -Full color, bright and customizable screen. 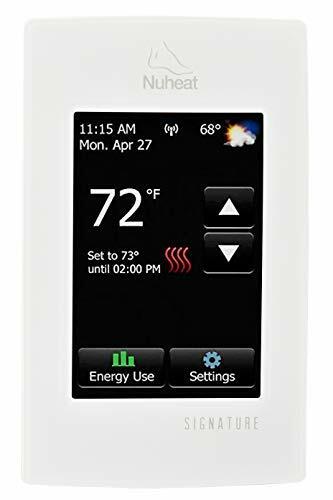 -Smart response technology for the precise temp when you want it. 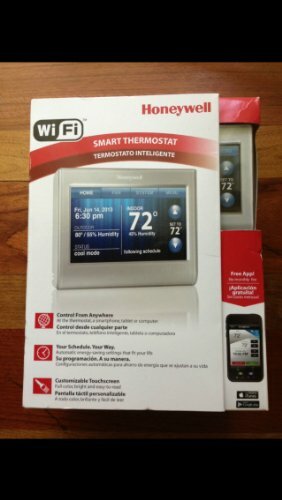 -Automatic energy saving settings that fit your life. -Customizable color settings to match your decor. 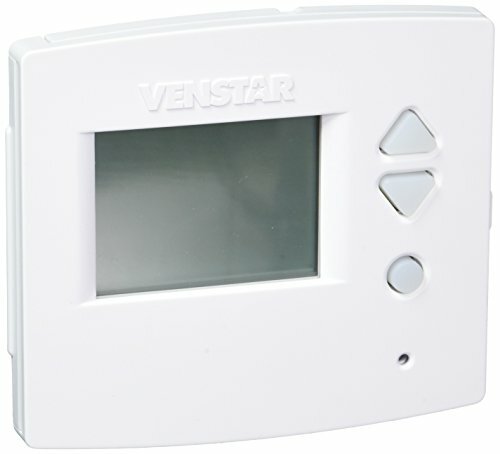 -Auto alerts ensure on-time filter changes and know about extreme temperatures. Display Type: -Digital. Wi-Fi Enabled: -Yes. Operation Type: -Programmable. Touch Screen: -Yes. Learning: -Yes. Generic Specifications: -Manufacturer provides 1 year limited warranty. Dimensions: Overall Height – Top to Bottom: -3.5″. Overall Width – Side to Side: -4.5″. Overall Depth – Front to Back: -0.8″. Overall Product Weight: -1 lbs.